The V-Rod 10th Anniversary Edition is a tribute to the original 2002 V-Rod, the motorcycle that introduced the liquid-cooled Revolution engine and a new styling direction for Harley-Davidson. Brilliant Silver Pearl bodywork with color-matched frame are exclusive in the V-Rod line and evokes the anodized aluminum bodywork of the original V-Rod. 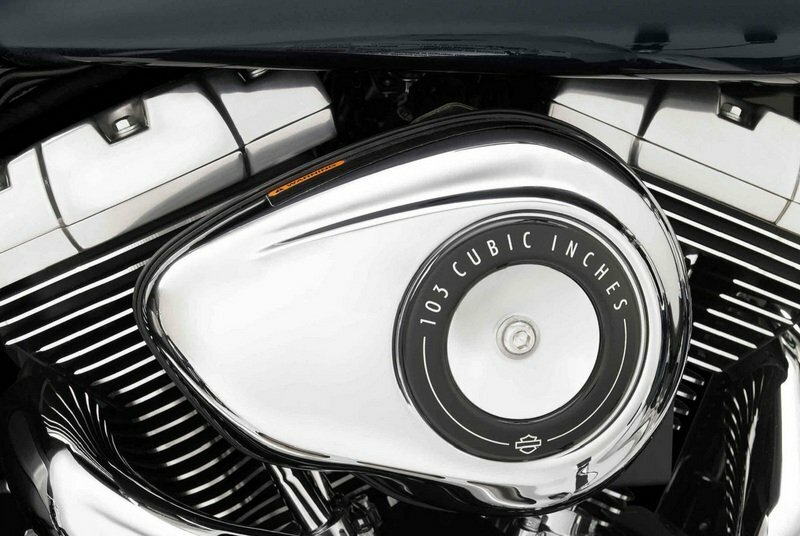 Extra chrome and polished surfaces dazzle on the engine, exhaust and speed screen. The motorcycle is powered by a liquid-cooled, Revolution, 60° V-Twin engine with a displacement of 1250 cc. The engine puts out 125 hp @ 8,250 rpm and 85 ft.lbs of torque at 7000 rpm. Power is sent to the rear wheel through a five speed gear box and the fuel consumption is rated at 37 mpg (city/highway). The speed is kept in check by a set of Brembo triple-disc performance brakes which also include ABS. 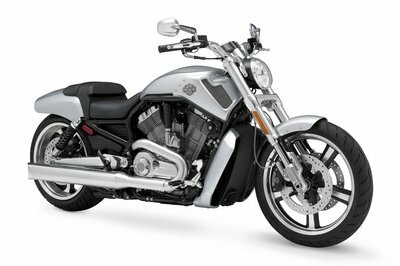 Hit the jump for more information on the 2012 Harley-Davidson VRSCDX V-Rod 10th Anniversary Edition. 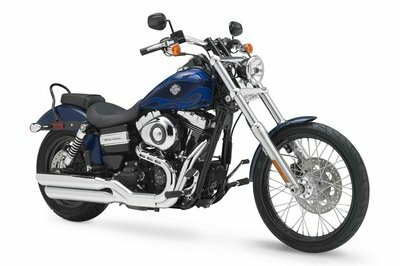 Harley-Davidson offers more Big Twin performance for 2012 as its Twin Cam 103™ powertrain is standard equipment on Softail® and Touring motorcycle models and most Dyna® motorcycle models. 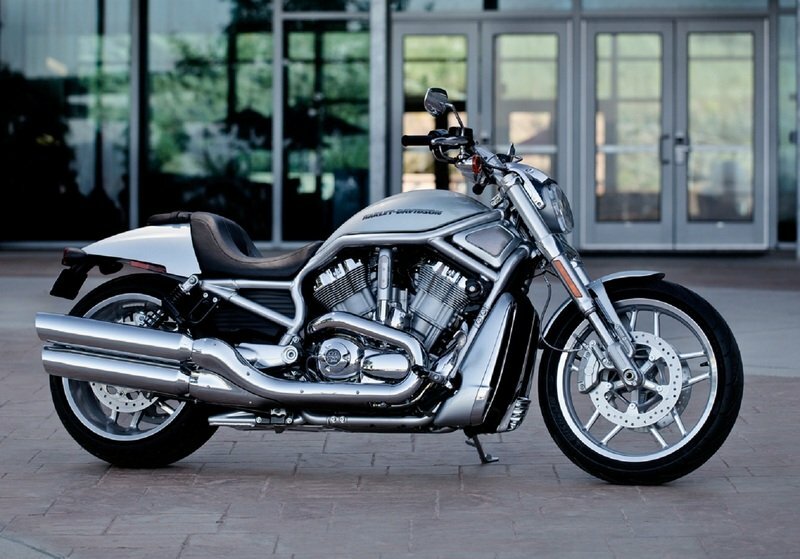 Harley-Davidson will offer two new models for 2012. The V-Rod® 10th Anniversary Edition celebrates a decade of power-cruiser performance, while the new Dyna® Switchback is a convertible custom-touring motorcycle with detachable hard saddlebags and windshield. 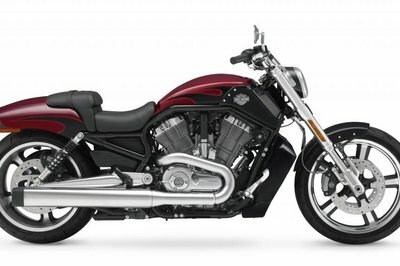 In addition, the Night Rod Special has significant updates for 2012 with refreshed bodywork and optimized rider ergonomics. Harley-Davidson Custom Vehicle Operations (CVO)TM rolls out the gleaming new CVO Road Glide® Custom, a limited-production, high-performance touring masterpiece. Harley-Davidson believes every motorcycle it sells can be a custom of one. Harley-Davidson H-D1™ is a comprehensive offering of customization tools for the Harley-Davidson motorcycle owner. H-D1 tools include Harley-Davidson Genuine Motor Accessories listings in print and on-line catalogs, Fit Shop and consultation services at Harley-Davidson dealerships, and factory customization and Bike Builder tools on www.harley-davidson.com. H-D1 offers almost unlimited opportunities to optimize fit, function, style and performance and turn a Harley into a motorcycle that is truly personalized to its owner. Harley- Davidson heads into 2012 with 32 models, each born of experience that spans generations and a passion for riding that will never diminish. The Twin Cam 103™ engine powers all 2012 Dyna®, Softail® and Touring models with the exception of the Dyna Street Bob® and Dyna Super Glide® Custom. This engine produces up to 100 ft lbs. peak torque, an increase of approximately 6 percent over the Twin Cam 96 engine it replaces as standard power for many of these models. The Twin Cam 103 is equipped with automatic compression release. It features identifying badges on the derby cover, timer cover and air cleaner trim ring. 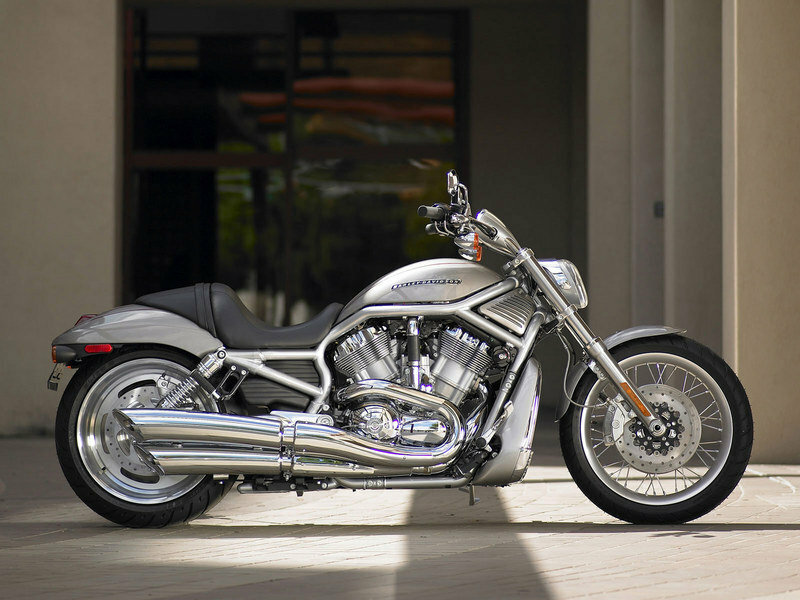 A Security Package that pairs Anti-lock Braking System (ABS) with Smart Security System with proximity-based, hands-free security fob is available for all 2012 V-Rod®, Dyna®, Softail®, Touring and CVO™ models. The Security Package is standard equipment on CVO™ models and on the Road Glide® Ultra, the Electra Glide® Ultra Limited, and the Road King® Classic. The Security Package is a factory-installed option for all other models. The Night Rod® Special is updated with new tapered tail section, lighter-weight wheels, an inverted front fork and improved ergonomics. Harley-Davidson celebrates a decade of power cruising with the V-Rod® 10th Anniversary Edition motorcycle, finished in Brilliant Silver Pearl bodywork that evokes the anodized aluminum bodywork of the original V-Rod model that introduced the liquid-cooled Revolution V-Twin engine in 2002. 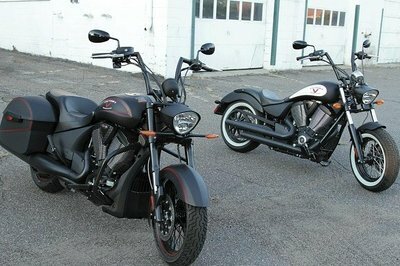 All V-Rod models will carry V-Rod 10th Anniversary badges. The new Dyna Switchback combines hard saddlebags and a windshield with the eager handling and Twin Cam 103 performance of the Dyna chassis. It’s a custom-touring bike ready for a long weekend trip, until the detachable bags and windshield are removed. Then in seconds the Switchback becomes a custom street cruiser with a gleaming headlamp nacelle, five-spoke cast-aluminum wheels and a mini-ape handlebar. This convertible concept makes the versatile Switchback two motorcycles in one. 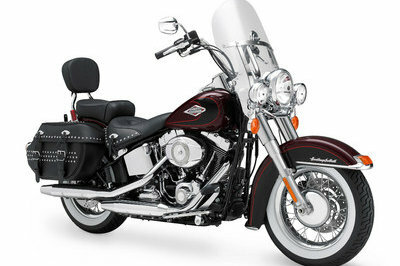 All Harley-Davidson Softail models get the performance boost of the Twin Cam 103 engine for 2012. The Fat Boy and Fat Boy Lo have a new reduced-reach handlebar for more-comfortable ergonomics. A lower, narrower seat shape places the Fat Boy rider in a new "in the bike" position. 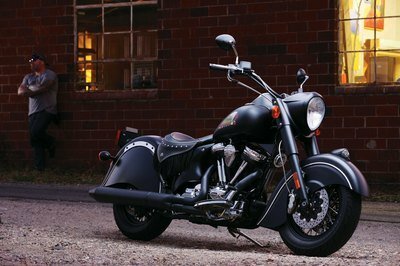 The Softail Deluxe and Heritage Softail Classic will be available with a new optional "tubeless" Chrome Aluminum Profile Laced wheel option for ease of tire replacement and repair. The Twin Cam 103 powertrain gives all Harley-Davidson Touring models assertive power for passing. On Touring models, the Twin Cam 103 is equipped with an oil cooler. All Touring models except the Ultra Limited will offer a new "tubeless" Chrome Aluminum Profile Laced wheel option. The Harley-Davidson Sportster® line appeals to a broad range of riders with six 2012 models ranging from the race-inspired XR1200X™ to the accessible SuperLow® to Dark Custom roadsters like the Iron 883™, Nightster® and Forty-Eight®. The Sportster® 1200 Custom can be personalized for fit, function and style with H-D1 factory customization, a process that allows customers to use the Bike Builder tool on harley-davidson.com to build the motorcycle from a selection of options that are installed as the bike is assembled by Harley-Davidson Motor Company or are installed by a dealer after the motorcycle is delivered. New 1200 Custom color options have been added to Bike Builder for 2012. The new CVO Road Glide Custom is one of four limited-production 2012 models from Harley-Davidson Custom Vehicle Operations (CVO)TM, each turned out with bold paint, gleaming chrome, and the most-powerful V-Twin engines offered in production Harley-Davidson motorcycles. CVO Road Glide Custom is a hot-rod bagger with a frame-mounted fairing topped with a smoked Wind Splitter windshield, a high-output, amplified Harman/Kardon® Advanced Audio system, and a color-matched, low-profile fuel tank console. and a new styling direction for Harley-Davidson. (ESPFI); 125 hp @ 8,250 rpm; 85 ft. lbs. 19 in. x 3 in. 18 in. x 8 in. 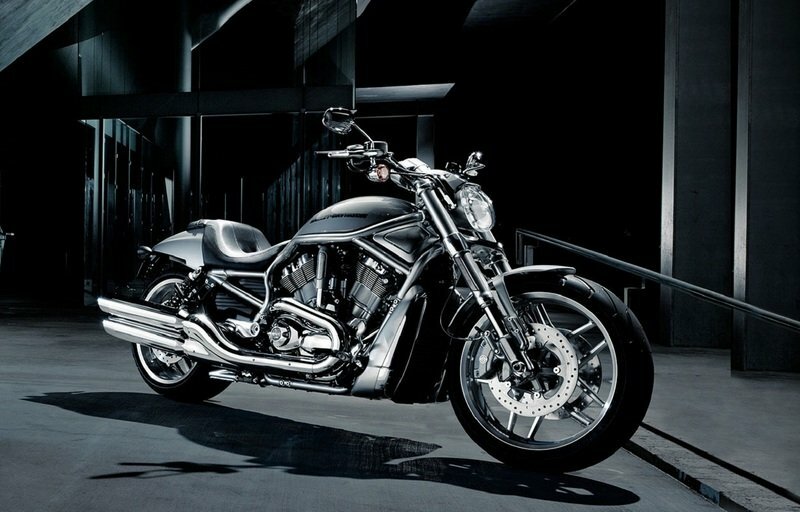 Fresh Motorcycle----"Made to respect the V-Rod version and will be offered in 2012 with the additional of new exclusive features. 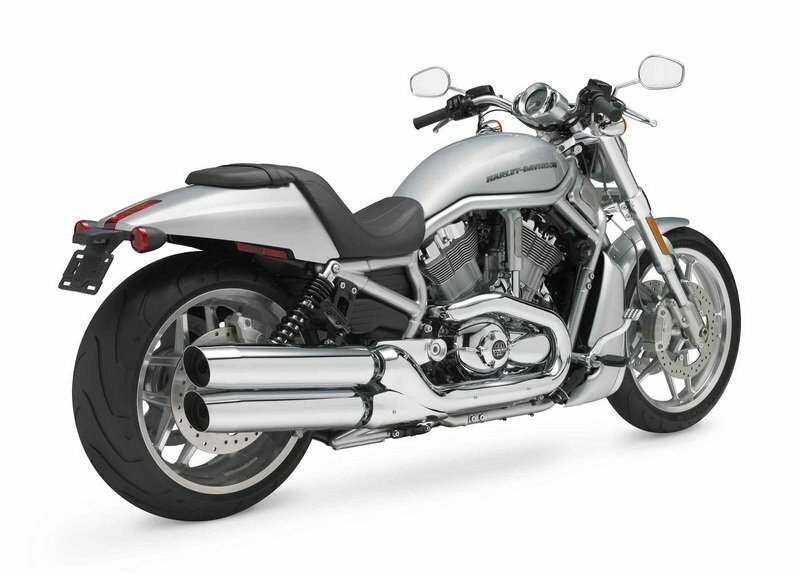 Brilliant Silver Pearl bodywork with its fit color-frame in which an exclusive line of V-Rod, exhaust and speed. These versions powered by a 1250cc V-twin engine with dual overhead camshafts, ESPFI, five-speed transmission and high-performance carbon fiber drive belt systems, ABS – ABS is a part of the next optional Security Package which also includes Smart Security System with distance-based fob. "